Valiant is proud to announce that Bloodshot #1 and Bloodshot #2 have sold out at the distributor level and will return to store shelves everywhere with second printings this November! Relive the sold-out debut of the dirtiest secret in the Valiant Universe with the Bloodshot #1 Second Printing Larosa Variant, featuring an all-new cover by acclaimed artist Lewis Larosa, and the Bloodshot #2 Second Printing Sketch Variant by red-hot artist Arturo Lozzi! Duck and cover when Valiant’s most dangerous undercover operative goes online this November with an all-new, armor-piercing mission for the past he thought he knew in the Bloodshot #1 Second Printing Larosa Variant and Bloodshot #2 Second Printing Sketch Variant! Before acclaimed writer Duane Swierczysnki launches Bloodshot into an all-new arc this November, go back to the beginning to find out why Bloodshot is the hit series that has taken fans and critics by the throat. 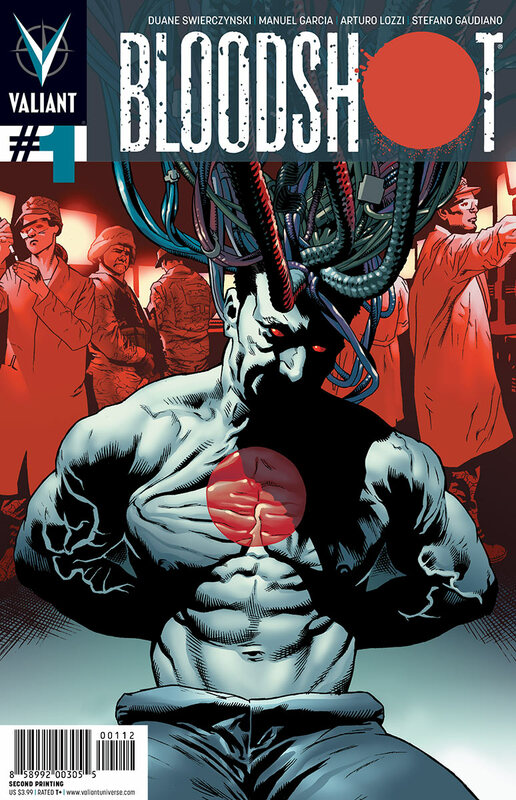 BLOODSHOT #1 SECOND PRINTING LAROSA VARIANT – ON SALE NOVEMBER 14th! 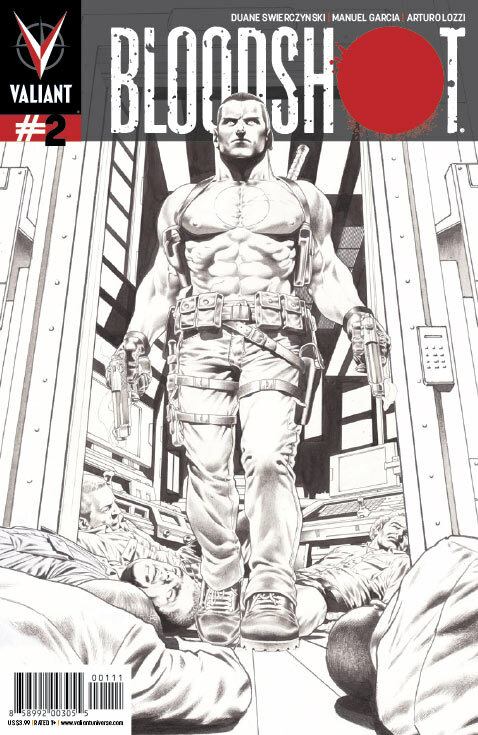 BLOODSHOT #2 SECOND PRINTING SKETCH VARIANT – ON SALE NOVEMBER 14th!